Meeting Time/Place: 9:00 am at the Three Bridges Road end of the Mill Race Trail, near the bridge over the Conestogo River. 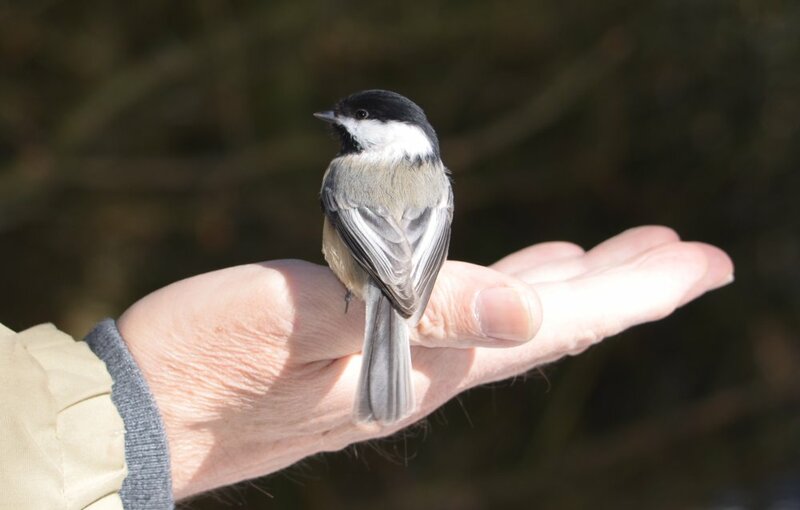 Description: A pleasant, easy stroll along the Mill Race Trail to view winter residents and hand feed Black-capped Chickadees and White-breasted Nuthatches. Expected species also include Redbellied, Downy and Hairy Woodpeckers, Cedar Waxwings are always possible, Common and Hooded Mergansers are sometimes seen on the river. Many species of sparrow have over-wintered here, including Song, White-throated and Chipping. Dark-eyed Juncos will be present, as will American Tree Sparrows. Northern Cardinals and Blue Jays provide colour. There is an excellent coffee shop in St. Jacobs where we can all have a coffee/tea/hot chocolate to refresh ourselves before walking back along the trail. The total distance is about 3 kilometres.